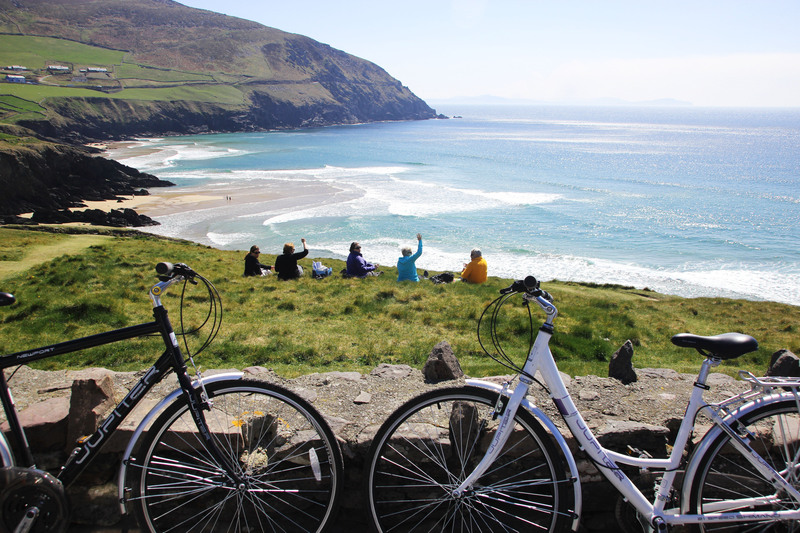 Wolfhound Adventure Tours Ireland | Fully-guided small-group adventure tours of Ireland | Cycling, hiking, walking, biking, Irish history & heritage! Hike through history and cycle back centuries! Your fully-guided Wolfhound Adventure Tour of the world's friendliest country has just begun! 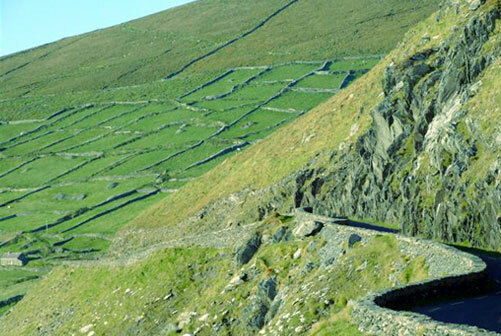 Wolfhound's small-group hike, bike and multi-active adventure tours of Ireland for all ages are legendary! 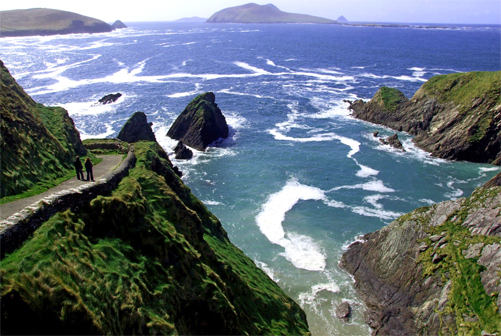 If you are looking to book a private small-group tour, a family holiday, or tour Ireland as an individual traveller with us, on a Wolfhound fully-escorted vacation you will explore away from the coach tours and discover the hidden secrets of Ireland's landscape, history, heritage and culture. 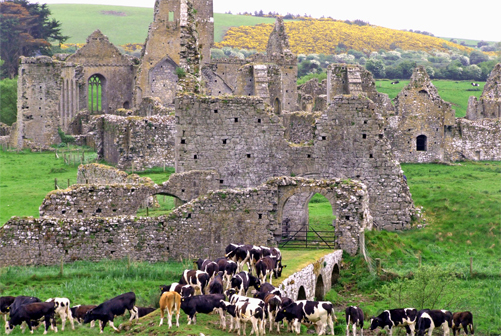 On our walking and cycling tours of Ireland, you will visit ancient tombs, castles, stone circles; you will explore hidden valleys, ruined famine villages and remote beaches. And if you'd rather not hike or bike, just sit back and relax as you are expertly guided in the sleek and silver 'Wolfmobile' through Ireland's gorgeous landscape. And the beauty of a Wolfhound Adventure is that it is a tailor-made tour to suit your interests. You can hike when you feel like it or bike when the weather is right and the road is flat. There's no need to hire bikes... we bring them with us in our custom-built Wolfhound trailer. 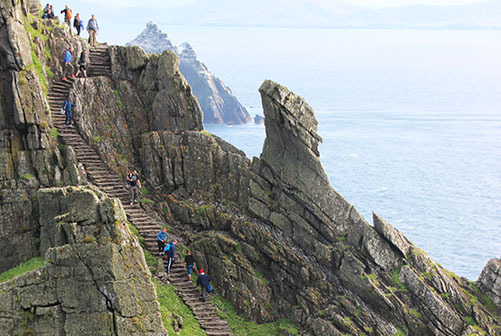 At Wolfhound it's your adventure, so whether it's the old favourites like the Cliffs of Moher, The Ring of Kerry or The Giant's Causeway you wish to include or the more remote places like Donegal, The Dingle Peninsula or The Aran Islands Wolfhound is sure to have the adventure for you.